You can break down the mechanics of classical guitar playing into three fundamental techniques: slurs, arpeggios, and scales. Spending time improving each of these mechanisms will make playing a lot easier and improve your sound. This is the third of a three-part series that will give you the ingredients you need to build a short warm-up routine. I will introduce several studies of varying difficulty, so choose the examples that best suit your playing level. Scales are probably the first thing that comes to mind when many instrumentalists think 'technique'. Scales incorporate the most fundamental movements of guitar playing. They are a really efficient way to warm up and to improve weaknesses. Start with two octave scales if you are new to technical exercises. These scales will help you improve both your technique and your knowledge of the fretboard. Play the scales first as quarter notes at a comfortable tempo. Say the note names out loud as you play and pay attention to exactly where you are on the fretboard. Then play the scale twice in eighth notes, and three times in triplets. These rhythms go too quickly to be saying the note names – here, it's better to concentrate on the position shifts. When you know the shapes and fingerings of each scale by heart, play them in different positions to get to know different keys. The C Major Scale can be played comfortably from the second fret (as B Major) and up to the tenth fret (as G Major). You can play C Harmonic Minor from the first fret (Bb Harmonic Minor) to the tenth fret (G Harmonic Minor); G Major from the second fret (F# Major) to the tenth (D Major), and G Harmonic Minor from the first fret (F Harmonic Minor) to the tenth (D Harmonic Minor). Three octave scales are great for practicing a variety of position changes. If you already know the fretboard well and want to play only a couple scales to warm up, I recommend these two. I like playing each one twice in eighth notes, and four times in sixteenth notes. That way you have to change positions at different points in the meter, so each repetition is a unique challenge. 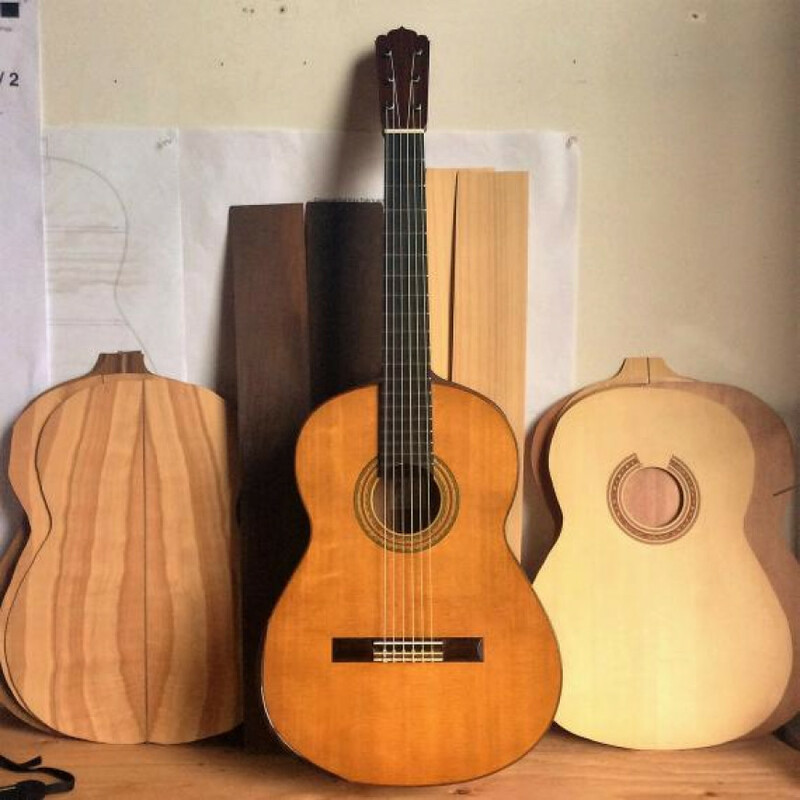 Playing music with more than one voice is a really important part of classical guitar. Strive to give both notes equal weight at first, and then try to control your sound well enough to bring out one note over the other. This will prepare you for playing two lines of music at the same time. Also make sure that each note lasts the same amount of time – that is, that both are equally short if your intention is staccato, and that both are connected to the following note if you want to play ligado. Don't just play, listen carefully! These scales address awkward shifts and string crossings that you will run into frequently in repertoire. The third pattern, 'Bursts of Speed', is great for developing velocity in a controlled manner. Keep in mind that these are just a few examples – there are hundreds of patterns out there. When you master these patterns, invent your own. Now that you have plenty of examples of exercises from this series, it's time to build your own personal warm up. Choose a couple exercises of each technique that you can learn easily. Aim to spend ten to fifteen minutes warming up at the beginning of a practice session. The most important thing is to listen to what you play. Mindlessly playing scales and exercises does not help your technique. What helps is listening carefully to the details – fluidity of sound, excessive string noises, consistency of tone – and improving on any aspect that is less than ideal. After a month or two of warming up regularly, you'll see how effectively you can overcome challenges in your repertoire!